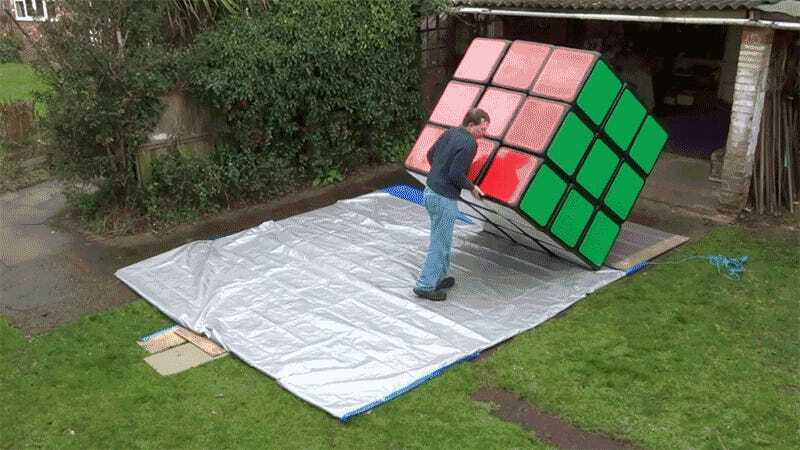 Because apparently a regular-sized Rubik’s Cube wasn’t already enough of a challenge, Tony Fisher built himself a version that’s over five feet long on each side. Even just bringing it out to play looks like a monumental struggle, let alone the back-breaking challenge that is trying to solve it. Fisher is still perfecting the design of his massive Rubik’s Cube, but he’s confident that once he does he’ll have a pretty good chance at securing the Guinness World Record. As for solving it? Even peeling and replacing those massive stickers makes cheating an equally daunting prospect.